Beatrice Eleanor Man was born on 23 August 1870 in Rangoon, Burma, the eldest daughter of Edward Garnet and Catherine (Matthews) Man, and was baptized on 27 August 1870 at Rangoon. 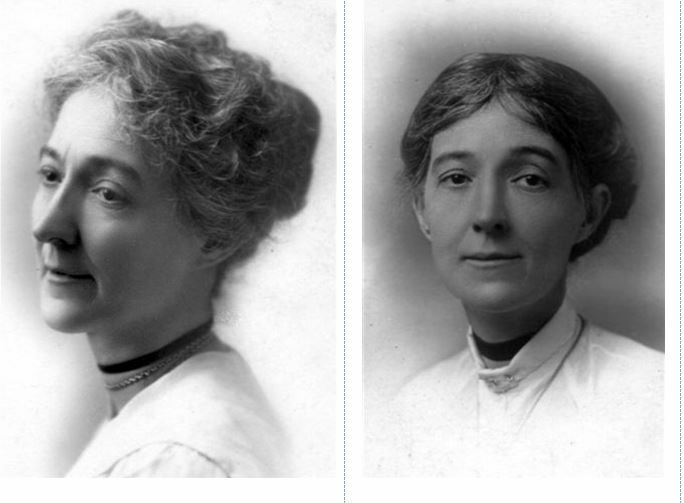 She married James Graham Adam on 3 June 1893 in Rangoon, Burma. Beatrice died in February 1951 in Kelowna, British Columbia, Canada. James was born on 22 February 1862 in Glasgow, Scotland and he also died in 1951 in Kelowna, British Columbia. Below is the wedding of Beatrice Man and James Adam. 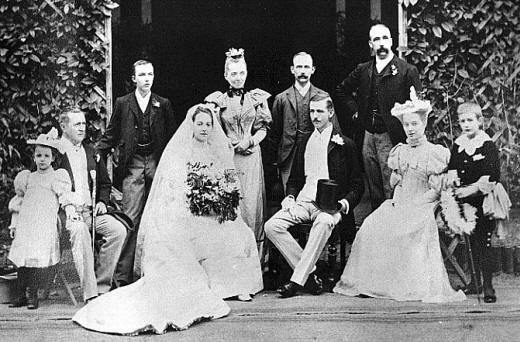 From left to right: Dorothy Man, Edward Garnet Man, Harry Man, Mrs. Edward Garnet Man, the two men standing have not been identified, the bridesmaid is Jocelyn Man and the page Cecil Gus. On the 1906 census last line is noted Harry Man, Beatrice’s brother, aged 31. Was Harry just visiting or was he maybe trying out the life in Canada? We know that by 1909 he was in Hamburg, Germany and the guess is he was passing through as a visitor. 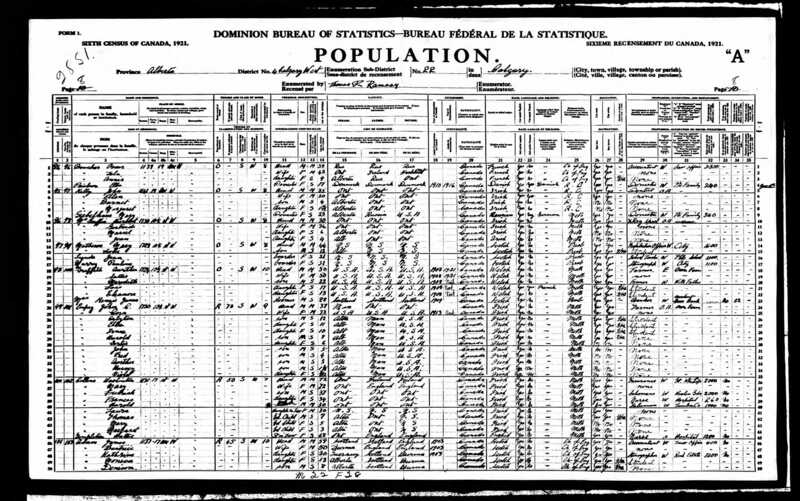 Below: the 1921 Census of Canada, the Adam family is the last unit.